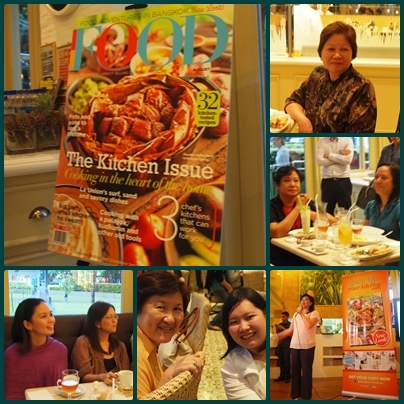 I am glad to joined the welcoming of FOOD Magazine's new editor-in-chief, Ms Anna Marie 'Nana' Ozaeta. As of the country's largest selling culinary magazine, readers and subscribers will definitely have more time to leaf the magazine and learn more from a great food magazine. To start the welcoming event Chef Boom Jota of the Bistro Group prepared a welcoming menu for the visitors and expectants. Likewise Stock Market introduces their 'Delightfully Fresh' set of dishes, was re-opened early this year under The Bistro Group of Restaurants. They introduces new menu, homey place, freshness of colors, and over-all ambiance that invites you and confident enough to try all the delightful fresh taste. From various choices of appetizers, salads, soups, pastas,entrees, gourmet sandwiches, burgers and desserts don't you wonder why if you'll be asking and ordering for more specially the ones with a 'House Specialty' marked on it. Before the event started we had a Sassy Spring Roll served as our enticing starter, it is a crispy egg roll stuffed with tuna, spinach, onions, and cream cheese it is serve with vegetable crudities, sour cream and chives. The combination of stuffed inside is so delicious try it with sour cream and the taste really last into your mouth. We also had an Southern Chicken Burger which has a herbed flavor chicken fillet, smoked turkey, provolone cheese. The chicken is so tender and this burger is so healthy. Then the pasta we had is the the Stock Market's Penne Pesto, served with basil cream sauce, parmesan flakes, chicken stripes, broccoli and fresh arugula. 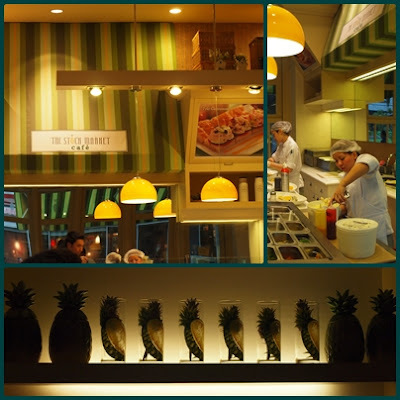 We tried the two of the long line of beverages that Stock Market had both came from a freshly squeezed juice and fruit shake to finished the launched of Stock Market's 'Delightfully Fresh' menu that are good for our body and mind as well. 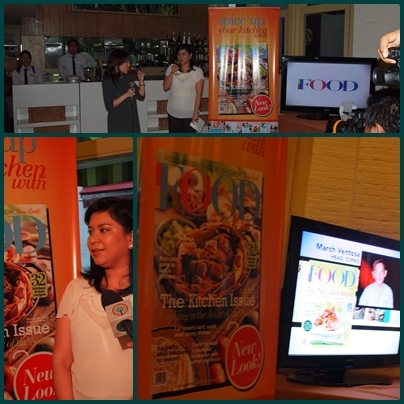 Then for the FOOD Magazine's formal launched was started that welcomes the new editor in chief and the people behind the successful food magazine on news stands today.